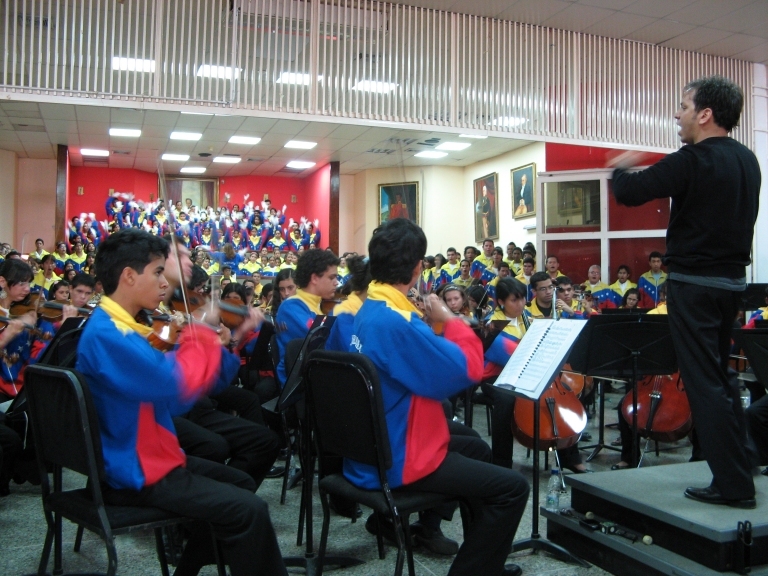 The news wasn’t widely reported, but in late February of this year the Fundación del Estado para el Sistema Nacional de las Orquestas Juveniles e Infantiles de Venezuela, more commonly known by the unlovely acronym FESNOJIV, was rechristened as the “Fundación Musical Simón Bolívar”, or FundaMusical Bolívar for short. (I have taken it upon myself to further shorten the name to the highly-manageable “FundaBol,” and hereby state my claim as creator of the sobriquet.) Although the name alteration was entirely cosmetic, it was accompanied by a more significant change in governmental jurisdiction; no longer was the FundaBol attached to the office of the Vice President of the Bolivarian Republic: now it would report directly to el Presidente himself. This reassignment was the ultimate step in a lengthy progression through a variety of government ministries such as Health, Social Services and Community Development, with one glaring omission from that list – Culture. Some might question the wisdom of affiliating Sistema with the office of the President when it is held by as controversial a personality as Hugo Chávez, but it cannot be denied that he is an ardent supporter of the program and a figure of critical importance in Venezuela, regardless of the popular perception of his foreign or domestic policies. The fact that the program grew in the public’s consciousness along with Chávez’s rise to international notoriety has led some to correlate the two inaccurately and unfairly; the Chávez government is the sixth administration under which Sistema has operated – eighth, if you count interim. Its absence is deliberate. Maestro Abreu knew that of all governmental monies, those allocated to culture or the arts are the most volatile (as Canadians, Americans and Britons would all ruefully agree given recent experiences) and therefore focused his advocacy and political interactions on the social dimension of Sistema. It was simultaneously brilliantly forward-thinking and yet philosophically retrograde, returning music to its original roots as a social activity. It was also extremely effective, as three and a half decades of public funding and program growth testify. The positioning of Sistema as a social program may be the single most important innovation in recent years in advocacy internationally. It also makes perfect sense, from a financial perspective: there’s simply far more money for social initiatives than there is for arts and culture. 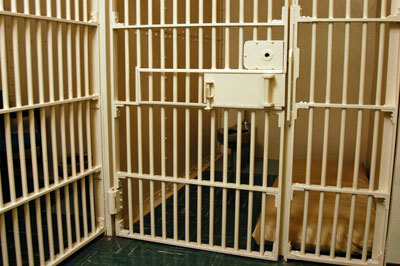 For example, in 2009 the State of California spent approximately $220 million on incarcerating juveniles. The total budget for the California Arts Council in that same year was approximately $5.5 million. The social dimension is a critical argument to make when advocating for Sistema programs, and a powerful addition to the advocacy arsenal, but it cannot be the only one. Good advocacy requires different vocabularies for different constituents. I’ve said that before, but it’s worth saying again. As compelling and as innovative as it may be, the social argument for music will be rendered null and void if any other activity like sports can be demonstrated to yield greater impact, just like the economic benefit line of reasoning only holds water as long as there’s no other opportunity for higher return on investment. We need to know the cognitive and emotional benefits, the social and economic impact for both individual and community, and equally importantly, the intrinsic value of what music offers. Although the political positioning of Sistema has been extraordinarily shrewd, Maestro Abreu’s ultima ratio regis is not his eloquence or a raft of economic studies – it’s the public showcase performances that his charges can, as a rule across the 240+ núcleos, execute on a moment’s notice. The music speaks volumes too. I am interested in learning more ….keep the blog posts coming!